Including Chicken Fingers, Pasta, and More! 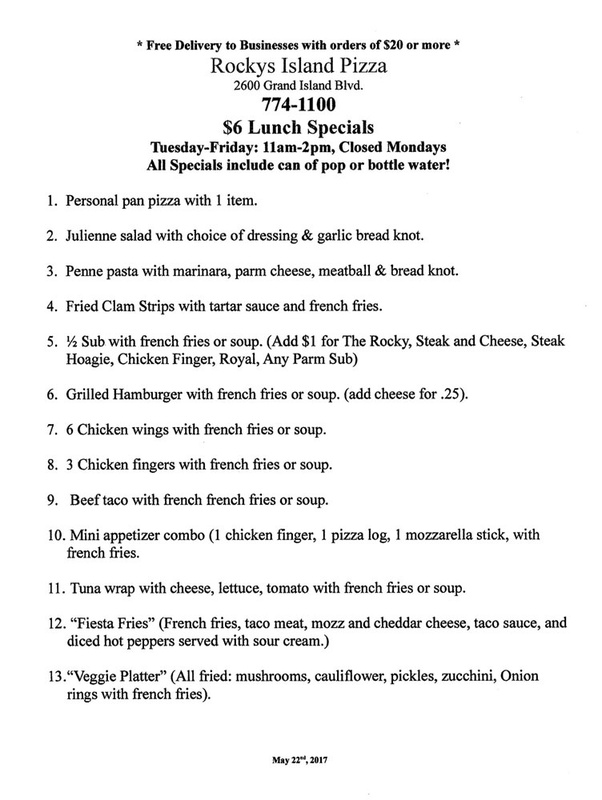 Indulge in savory specialty pizzas, chicken fingers, and other mouthwatering dishes at Rocky’s Island Pizza in Grand Island, NY. Whether you are craving steak and cheese subs, fish fries that come with a garlic knot, crispy and well-seasoned French fries, or a simple salad, you can count on us to serve you with made-to-order dishes cooked to perfection. 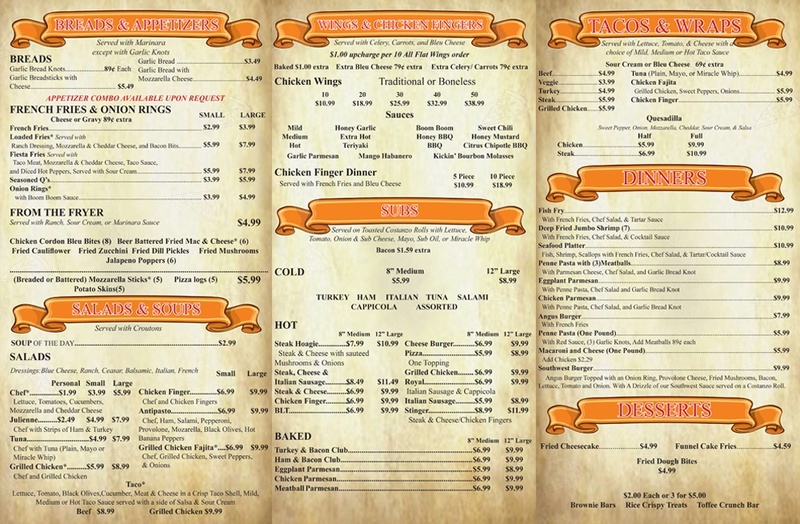 Check out our extensive menu of food options made using only the finest quality available. 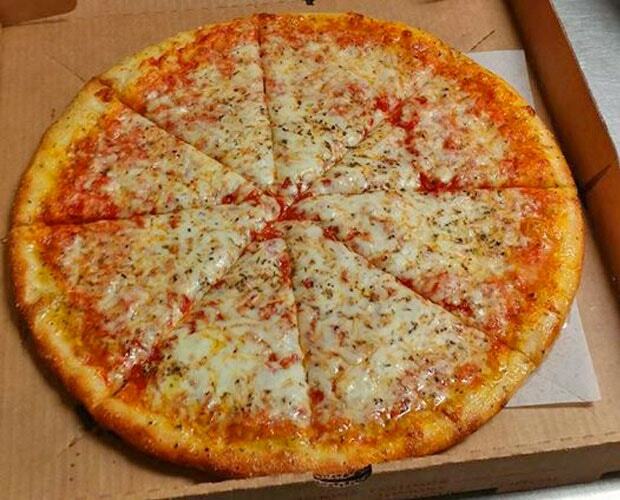 Order Your Favorite Pizza From Us! Already made your choice from our menu? 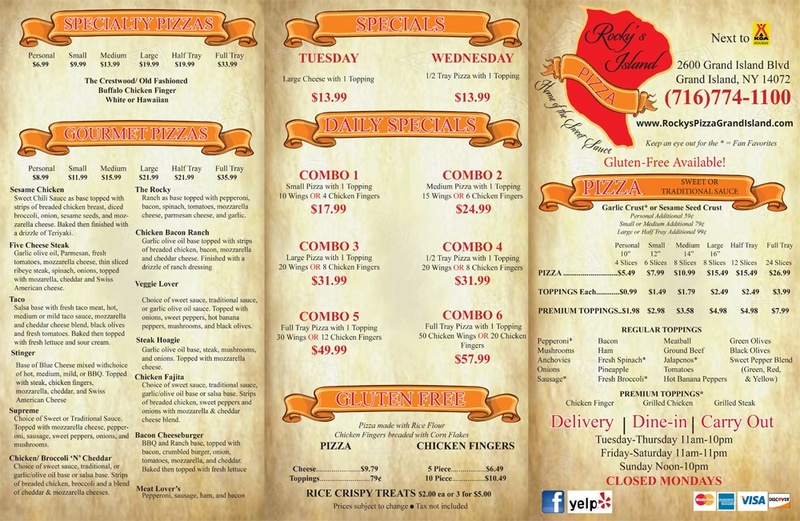 Whether you prefer an all-meat or a veggie pizza, Rocky's Island Pizza has the right pizza you’re looking for. Pick up your phone now and call us to place your orders. We offer pick-up, delivery, and dine-in services depending on what’s most convenient for you. Treat yourself to our flavourful specialty pizzas today!